If you’d love to take advantage of the booming medical industry, a career as a pharmaceutical sales representative might be right for you. Pharmaceutical sales representatives are able to help individuals with their products while making a significant amount of money. What Is a Pharmaceutical Sales Representative? A pharmaceutical sales representative is hired by pharmaceutical companies to represent their medications to physicians. A pharmaceutical sales representative is hired by pharmaceutical companies to represent their medications to physicians. These skilled professionals will often hand out samples of different pharmaceutical products and explain their benefits to physicians. In return, physicians will order these medications. Pharmaceutical sales representatives often make significant amounts of money and are considered highly trained professionals. Pharmaceutical representatives need to be aware of the medications they are representing and need to have basic knowledge of the medications, the potential side effects and their uses. Most pharmaceutical representatives are highly educated, with a Bachelor’s Degree in sales, marketing or a pre-medical field. CNN Money has listed the field of pharmaceutical sales representative as one of the best jobs in America. The job has had consistently high stability as well as extremely competitive salaries and benefits, and has a very low barrier to entry. What Does a Pharmaceutical Sales Representative Do? Pharmaceutical representatives will spend most of their day dealing directly with doctors and explaining the benefits of their product. Representatives are expected to do a significant amount of networking and may be called upon to travel across the state or even across the nation. Seminars may also be required for a pharmaceutical representative, and many representatives will need to spend significant amounts of time in continuing education and learning about their products. A pharmaceutical sales representative will often work on a commission basis, which offers an extraordinary amount of flexibility as far as pay goes. Successful representatives are able to explain the benefits of their product to doctors and are able to maintain active client relationships. 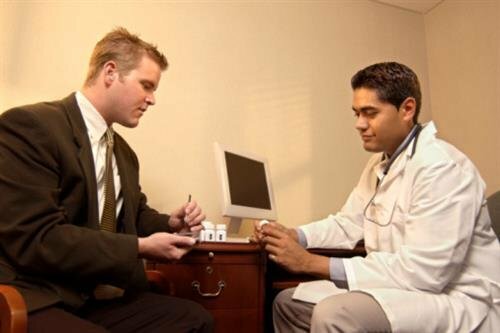 Many sales representatives will work with the same doctors for significant amounts of time. How Do You Become a Pharmaceutical Sales Representative? A pharmaceutical sales representative can come from any educational background but usually needs at least a Bachelor’s Degree. A Bachelor’s of Science degree is usually considered preferable to a Bachelor’s of Arts degree. Pharmaceutical representatives will be offered on-the-job training and may work under another pharmacy representative with a certain amount of time. Pharmaceutical representatives can get certified by the National Association of Pharmaceutical Sales Representatives if they desire. This certification may be required for more prestigious positions. Pharmaceutical representatives need to be extremely diligent and very organized. They will often maintain a long list of clients and need to meet specific deadlines to maintain their positions. Representatives will often need to develop their people skills and many representatives will require some form of experience within the sales or marketing industry. How Do You Advance as a Pharmaceutical Sales Representative? Pharmaceutical sales representatives may eventually extend themselves into managerial positions, through which they can manage and monitor other sales representatives. This requires dedication, determination and conscientious work. A pharmaceutical representative can also acquire more clients if they perform well, and this will increase their overall revenue. As a position that works on a commission basis, many pharmaceutical representatives have direct control over their income. Pharmaceutical representatives can increase their overall client base by networking appropriately and being a driven, self-motivated individual. Representatives will want to network within their own industry to find positions in other companies and will want to display their skills by increasing the overall revenue of their company and consistently meeting the projected milestones of their company.